The ‘Purna’ (complete) Kumbh Mela takes place in the city of Allahabad every 12 years and is the biggest religious gathering in one place in the world. 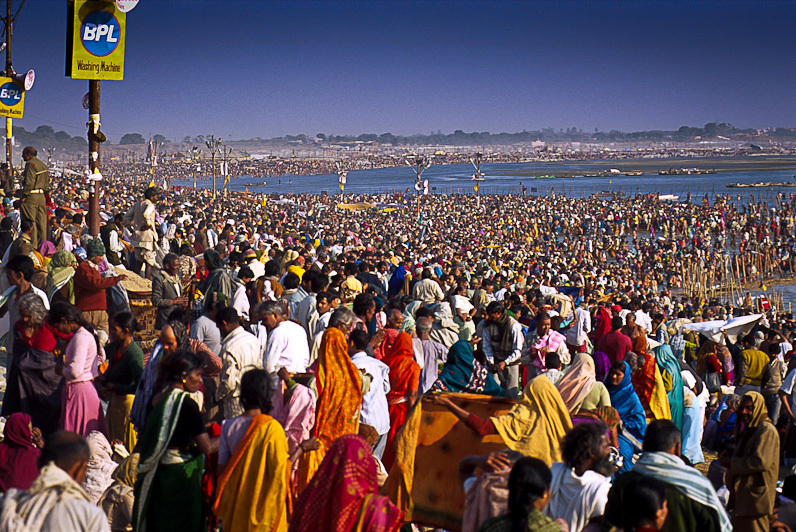 The next Kumbh Mela is in February 2013 and we have put together two departures to coincide with this incredible event. Visits in Delhi, Varanasi and Sarnath are also included. Kumbh Mela is linked to a mythological story of the Creation of the Universe, but the exact origins of the festival are obscure. It is mentioned in the diaries of the famous Chinese traveller Hiuen Tsang in the early 7th century AD. The number of pilgrims has grown year by year and an astonishing 60 million or so people are expected to attend the festival in February. World Discovery’s Kumbh Mela 2013 departures are on 3 and 10 February 2013. 8 days from £948 per person excluding international flights. South East Asia’s reputation as a destination of choice for golfers continues to gain ground with new courses under development. Prominent among these is the Greg Norman-designed Saigon Golf and Country Club in Vietnam. Situated in the city also known as Ho Chi Minh City, work on the 18-hole course is making fast progress and is scheduled for completion by the end of the year. Located close to the city centre, the course layout is typical of the golfing great’s trademark aggressive layouts, as can be seen at his first project in Vietnam, the excellent Danang Golf Club. The Saigon Golf and Country Club will feature a floodlit driving range with multiple practice greens for those who want to sharpen their skills ahead of teeing-off on the full course. The project is located within the Saigon Golf Country Club and Residences, a private community also featuring a Six Senses Spa, a country club and a limited number of luxury residences, town houses and condominiums. 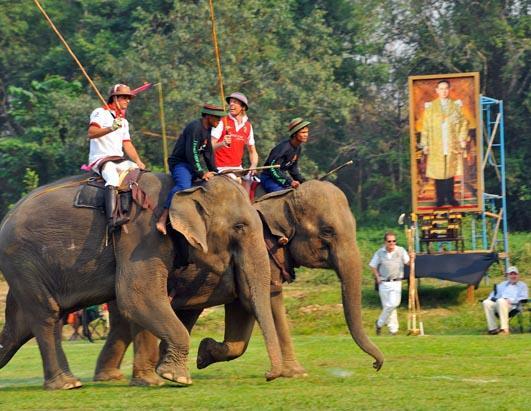 The Thai version of polo adds substantial weight to the high society equestrian sport – with 5,000kg elephants replacing the traditional pony. The gentle jumbos will star at this year’s King’s Cup Elephant Polo tournament from 12-16 September, held in the royal seaside resort town of Hua Hin. Now in its eleventh year, the event has raised over half-a-million dollars for the conservation of Thailand’s elephant population, as well as for other charitable causes. Last year’s tournament featured 12 teams involving over 40 players, including German royal Prince Carl-Eugen Oettingen-Wallerstein, along with members of the New Zealand All-Blacks rugby union team. Fundraising from last year helped clinics that use elephants in therapy sessions for children living with autism. Another charitable project was the creation of the first and only elephant hospital in southern Thailand. Anantara Resorts is offering a “Pachyderms and Polo Package” (via World Discovery) which includes VIP all-areas access, lunch, spa treatments and accommodation at the Anantara resort Hua Hin. A recently opened hotel in Phnom Penh is offering guests luxury fit for a governor! The Governor’s House Colonial Hotel is a colonial-style mansion in the heart of Boeung Keng Kang I, the top residential area in the capital. The boutique 10-bedroom property offers old style architectural beauty and is furnished with original colonial antiques in the same style as The Strand, The Raffles Grand D’Angkor and the Oriental Hotel in Bangkok. The elegantly furnished rooms are split between three upper floors, situated around an atrium, and each is dedicated to a different personality ranging from Ernest Hemingway to Jackie Kennedy. All rooms have jacuzzi bathtubs or rain showers. 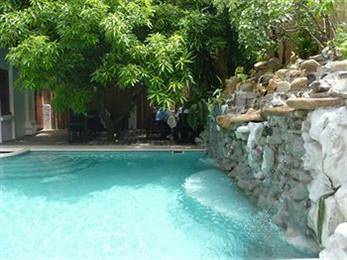 The hotel offers a full-service spa, an outdoor pool, a children’s pool, a terrace and a library. The property is centrally located close to the Sovanna Shopping Center, the Independence Monument, the City Mall and the Olympic Stadium. We’ve added an exciting new Mekong cruise to our Far East programme featuring the excellent ‘Mekong Explorer’, a luxury cruiseship built in traditional style and offering a week-long journey from the Mekong Delta in Vietnam to the awesome Khmer temples of Angkor in Cambodia. En route take in an array of interesting shore excursions such as the floating villages near Chau Doc, the Royal Palace and Silver Pagoda in Phnom Penh, and the little known silk-weaving community of Chong Koh. We’ve included 3 days to cover Angkor Wat and the other main temples around Siem Reap. Our 13 day Cruise to Angkor itinerary starts at £2100 per person, excluding flights. Yesterday, 24th July, the Supreme Court of India put a temporary ban on tiger tourism in India. The ban would affect 53 National Parks in India and at the moment we are still hopeful that once the court understands the reality of the situation, and the lack of evidence for the banning of tourism, that the order will be revoked next month, when a final decision is to be made. In our opinion this decision goes against the very tenets of the Wildlife Protection Act of India as well as the National Tourism Policy of India. It also defies all logic as what it is saying is that it blames tourism for all the problems facing the tiger in India today. This goes against all known scientific studies on the conservation of tigers which have clearly stated that poaching and habitat loss and fragmentation have been the main factors that have contributed to the decline in tiger numbers in the country. The impact of this decision could be enormous. The loss of jobs to local communities at all levels of skill would be huge. In a majority of these areas, tourism is the only real source of income apart from rain-fed subsistence agriculture. For states like Madhya Pradesh, wildlife tourism is one of the most important sources of income generation. Not only will accommodation providers, park guides and safari vehicle drivers be affected but people like vegetable sellers, carpenters, masons, transportation providers, shop keepers, laundrymen etc. will lose their only source of livelihood. 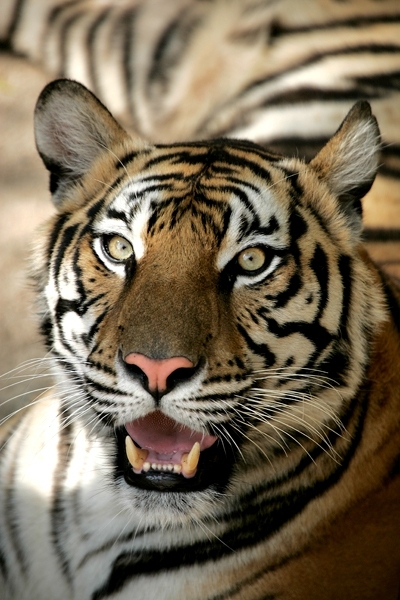 World Discovery are members of Travel Operators for Tigers (TOFT). They maintain strongly that tigers are safer in reserves that are visited by large numbers of tourists. “The highest densities of tigers can be found today in the most heavily visited tiger reserves,” said a statement from the group. ‘Unseen and unloved’ wildlife sanctuaries and forests lost all their tigers and wildlife to poaching, grazing and neglect, it said. In August 1812, a young Swiss explorer, Jean Louis Burckhardt, having heard tales of a mysterious lost city near Wadi Musa, entered Petra’s famous Siq disguised in Arab clothing and discovered the astonishing Nabatean rock-cut citadel that has since become world-famous. Next month the ‘rose-red’ city will be celebrating the 200th anniversary of its rediscovery with special events and tours. Petra is the highlight of any visit to Jordan, so if you’re planning to visit this wonderful attraction we recommend booking straightaway as there is heavy demand on accommodation (made more acute by the fact that the Crowne Plaza, nearest hotel to the entrance to Petra, is closed for renovation work). World Discovery features a wide range of sample itineraries on the website, including the best-selling ‘King’s Highway’ – 8 days from £965 (excluding flights), staying in the 5 star Marriott Hotels in Amman, Petra and the Dead Sea.